I unreservedly agree with Mr. Richard Nyamah, the Deputy Communications Director of the ruling New Patriotic Party (NPP), that the last thing that the Akufo-Addo Administration needs is the patently vacuous and financially wasteful establishment of a bipartisan parliamentary committee to probe the purportedly structural causes behind the apparent free-fall of the Cedi, the country’s legal tender, for quite an unusually considerably while now (See “Inclusion of Minority in Cedi Depreciation Probe Disappointing – Richard Nyamah” CitiNewsRoom.com / Ghanaweb.com 3/30/19). Indeed, the government’s own Economic Management Team (EMT), which is headed by Mr. Yaw Osafo-Maafo, the Senior Minister and former Finance Minister under President John Agyekum-Kufuor, and Vice-President Mahamudu Bawumia, the former Deputy-Governor of the Bank of Ghana, could have done a far better job in assembling a crackerjack team of the country’s leading economists and think-tankers to do the job. In other words, establishing a Senchi-type of a national circus around the issue of the precipitous depreciation of the Cedi only feeds into the patently false National Democratic Congress’ propaganda narrative that the New Patriotic Party has absolutely no better alternative to facilitating a quick and constructive solution to the massive economic problems facing the country, thereby boosting the fighting chance of the Mahama Posse in the leadup to the 2020 general election. Put in simple terms, Finance Minister Kenneth Kuntunkununku Ofori-Atta well appears to be rather facilely and unwisely walking into a trap deviously set up by the key operatives of the main opposition National Democratic Congress (NDC). And, indeed, even as Mr. Nyamah, the ruling party’s Deputy Communications Director, aptly points out, a critical examination of the political playbook of the key operatives of the National Democratic Congress clearly indicates that the NDC is not the least bit interested in patriotically helping the members of the Akufo-Addo cabinet move the economy of the country forward. Rather, the NDC’s machine operatives are intently waiting for the imminent collapse of the present administration so they could promptly get back into the game and do what they have been globally known to do best: which is to greedily rob the longsuffering Ghanaian taxpayer raw to the marrow. I am equally in perfect agreement with Dr. Ebo Turkson, the locally renowned economist, that both the problems and solutions to the presently dismal state of the country’s economy is well known to any expert worthy of such designation. Dr. Turkson goes on to further observe that any country or national economy that is heavily dependent on the importation of consumer products, such as Ghana, is highly likely to be periodically faced with an acute shortage of foreign exchange, and thus the imperative need for Ghana to embark on a massive and constructive industrialization program of the sort that would rapidly ensure that most of the profits that accrue from such industrial venture or development agenda stay in the country to be further invested in other profitable ventures for the requisite stabilization of the country’s economy. Any serious attempt to drum up foreign investment may therefore need to be done in such a way as to remarkably benefit both the foreign investor and the local economy, and not unwisely culminate in a Galamsey kind of predatory situation, whereby the local economy gets wantonly and irreparably exploited in the process. Consequently, coddling up to the cynical and unconscionably predatory NDC’s Parliamentary Minority is a certain recipe for disaster. Rather, what is presently needed is for the ruling New Patriotic Party to ensure that, henceforth, all investment compacts entered into between the Akufo-Addo government and multinational corporate investors are structured in such a way that the local economy does not needlessly suffer hemorrhage in the way that it presently appears to be doing. 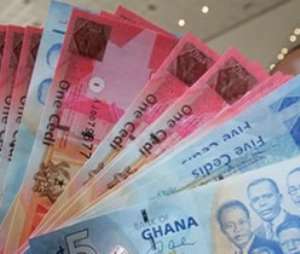 Likewise, let no one be deceived about the incontrovertible fact that the perennial vagaries of the macroeconomy notwithstanding, the current economic problems wracking the nation have inescapable roots in the gross and reckless management of the previous Mahama regime. And so it is rather pathetic for any of the key operatives of the ruling New Patriotic Party to naively presume that the very people who deliberately and unconscionably wrecked Ghana’s economy, scorch-earth style, for nearly a decade, can be seriously called upon to charitably facilitate a repairing of the same. As well, I am almost tempted, against common sense, to advise the present government to promptly hand over the reins of governance to the main opposition National Democratic Congress, if the NPP’s leaders feel themselves to be at their tether’s end or are not equal to the task for which they were generously afforded the mandate by the Ghanaian electorate in December 2016. You see, in July of last year when I visited the country, I met with a Fortune-500 economy-savvy cousin running one of the major insurance companies in who confided to me that sometimes recent been-too arrivals in like himself are forced to hold back with frustration and watch the key players of both major parties behave as if they missed the scattering of the “gourd-of-wisdom” by Mr. Kwaku Ananse. I am fast getting sick and tired of such scandalous display of gross managerial ineptitude on the part of those legitimately charged with steering the country’s economy into the smooth-sailing waters of economic prosperity behave as if they just arrived on the job and have yet to find their bearings.